BufferApp – This adds lots of updated in buffer and will keep your social media account updated. SocialOomph – This is for Twitter profile automation. You can set it to send auto DM to new followers. PostPlanner – This is ultimate app for managing Facebook page. 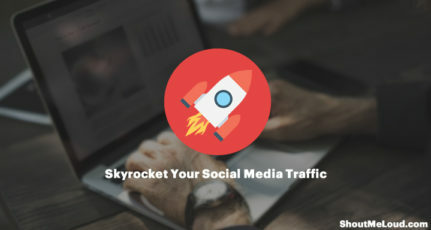 Jetpack plugin – Jetpack sharing feature will let you auto publish your new posts on various social media sites including Google plus. Above are some of the social-media tools that you should be using, and today I will look into another free tool call Twibble.io. 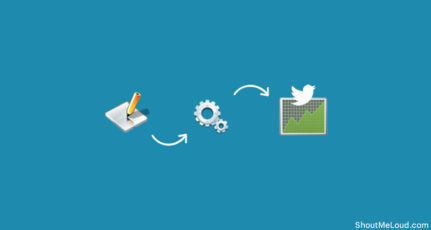 This is a twitter automation tool, which will let you use any RSS feed to send out auto-tweet. You must be wondering, what’s so special about this tool as many other tools like Twitterfeed, Dlvr.it does the same stuff. 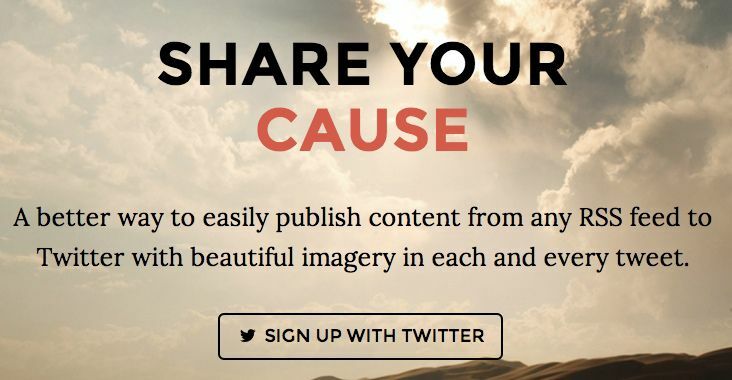 The difference here is, Twibble also tweet your post featured image, making your tweet visually appealing. FYI; Tweets with an images get more retweet and have better CTR. Connect up to 3 twitter accounts. Filters to tweet when specific keyword is there or not to tweet when a specific keyword is there. This feature will be helpful for to filter out affiliate posts or unwanted posts from auto tweet. Add @username to your auto-tweet. This is a good way to make connection with other bloggers. 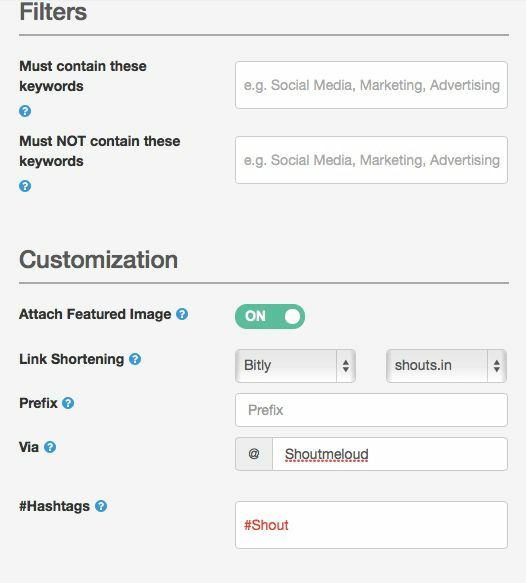 For example, if you are adding ShoutMeLoud RSS feed into Twibble (RSS feed link), and you add via @ShoutMeLoud, I will get notification every-time your twitter account post new tweets from ShoutMeLoud.com. 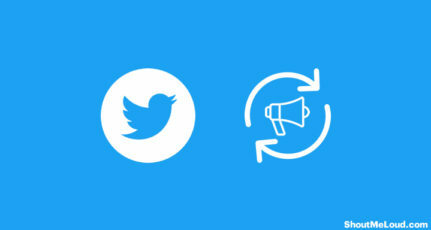 Follow quick guide to configure your Twitter account to send Auto-tweet from any RSS feed. For the sake of it, I’m taking ShoutMeLoud RSS feed as an example. All you need is to click on “Add new feed” and configure as shown in the image below. If you have not created RSS feed for your blog, you can read this guide to create one for your blog. For now, you can use this RSS feed to try and test your Twibble.io account. I suggest you to configure the scheduling feature based on your tweet pattern. Try not to tweet a lot in less time, and maintain proper interval between two tweets. As you can see from below image, I have also configured some customisation like default # with every tweet and link shortening using my custom URL via bit.ly. Click on Create on the right sidebar and you have successfully added a new feed to be auto-tweeted from your Twitter account. After that, you will also get a special link which you can share with your blog readers, and they can subscribe to auto-tweet your created RSS feed. For example, you can check out this link and click on subscribe to get started. If you want to know what kind of awesome content you will be auto-tweeting, you can check it out on feedly service over here. It’s a good idea to auto-tweet content from the popular blogs on your timeline to keep it full of quality content. 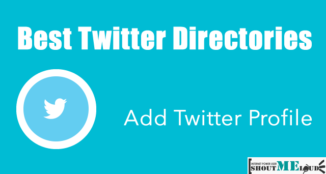 With Twibble, you are taking twitter automation to next level by adding featured image or video, and adding via @ to create personal connection with your target bloggers or social media influencers. Go ahead try Twibble.io and let me know your thoughts. Don’t forget to tweet and share this post on Google plus to let other know about this awesome free Twitter tool. You can follow ShoutMeLoud on twitter @shoutmeloud. To be frank Twibble is new too me but you shared a great tutorial like always Harsh. I’m curious how much traffic you handle to drive from social networks these days. Hey there, if you have any questions, please be sure to shoot us a note, we typically reply to support tickets within minutes. 🙂 Cheers! As was not aware of twibble, Came to know about this from this tutorial of your’s. I hope that this is gonna to help me. Thanks for sharing this great online app. 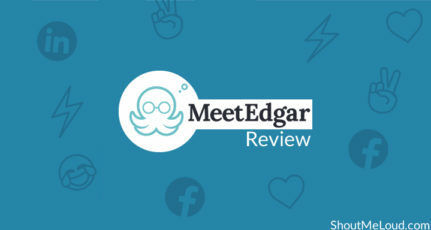 I have registered just now to Hootsuite and I hope it could really help me boost my new blog. Thanks Harsh! What a good idea. Posting your latest post or the previous ones automatically will save you lots of time. This is a great idea, will certainly implement it. Do you know of any tool which enables the user to auto share existing posts randomly across multiple social networks? 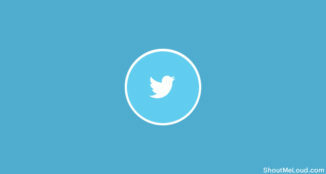 i have set up twibble, could i use twibble to tweet content selectively from my blog via rss feed ? if yes, how to do it ? Hey there, yes, absolutely. Just add your blog’s RSS feed. Usually, we can auto-detect it if you simply enter yourblogdomain.com. Sometimes, if that doesn’t work, try yourblogdomain.com/rss similar. Then, if you want to be SUPER selected, you can try to limit what you tweet with keyword filters in your feed settings. Adding to your content, google feedburner service do provide a auto tweet system free of cost. The best part about is that the service include hash tag itself according to the categories and tags you use in your post plus the url changes to a short url. If someone want to insert images in their tweet than all they have to do is to validate a twitter card and set their card to image card while validation than the feed-burner service will automatically tweet when you post your article with the image (if any). 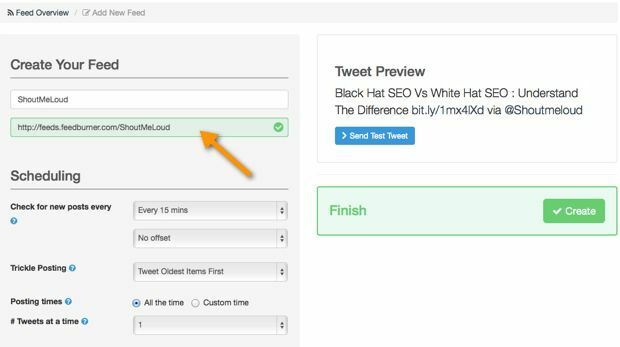 Really useful information about the twibble tool for auto tweet post via RSS. Before read this article, I didn’t have any idea about to use of this tool. But with the help of this, Now I am able to tweet via RSS. Thanks for sharing. Looking for the next article about the new social media tool that made easy to handle.